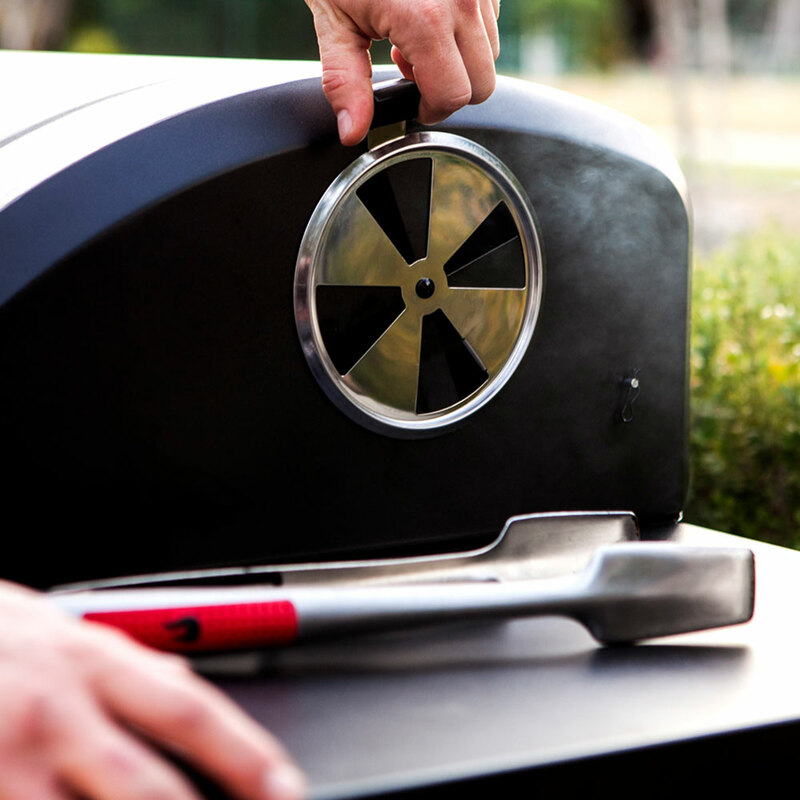 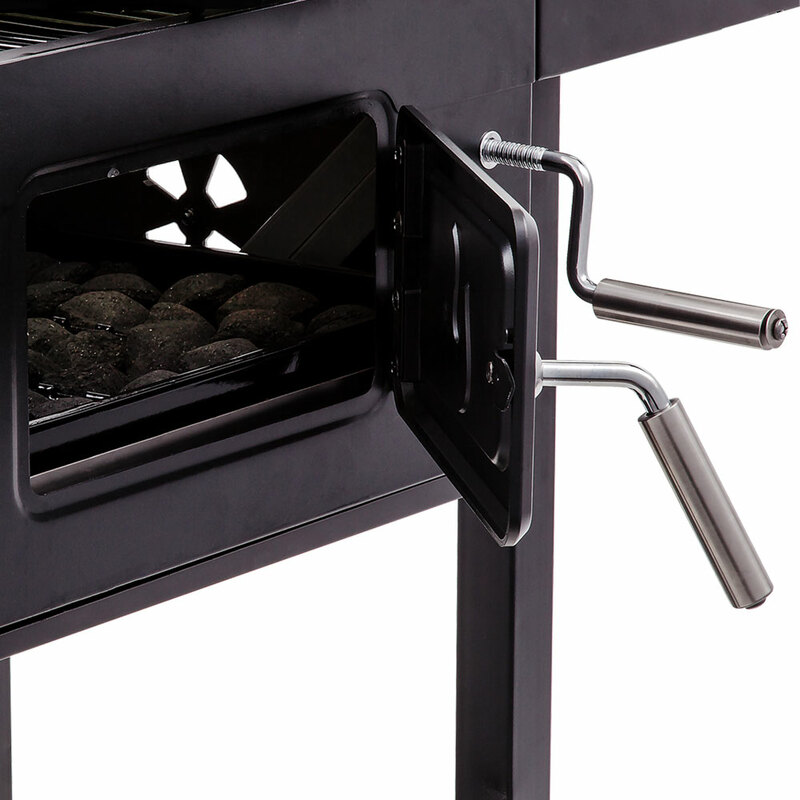 Incorporating two air valves for maximum control of grilling at high temperatures for long periods. 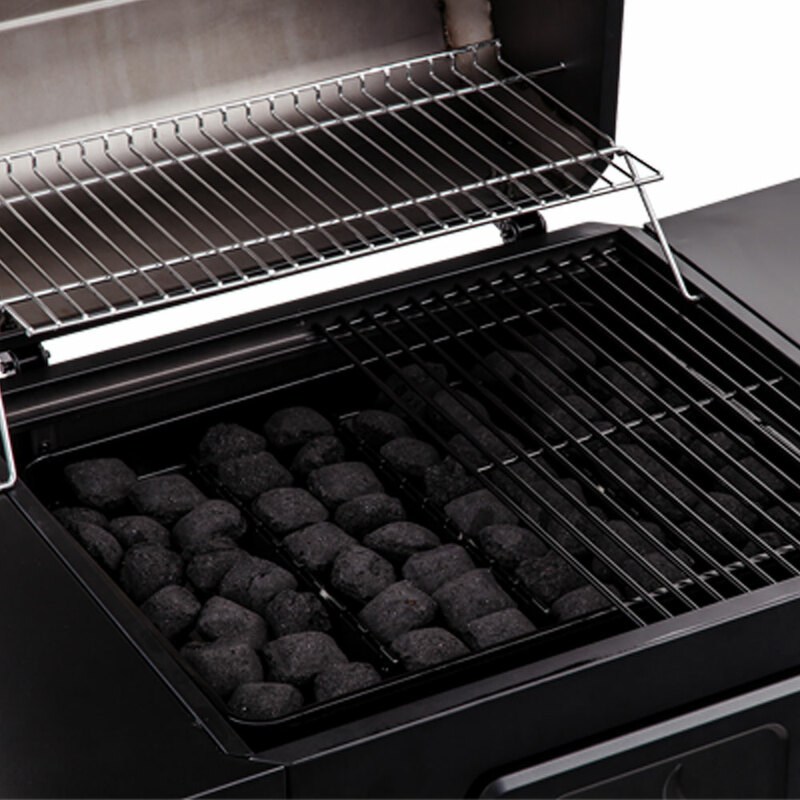 Patented shell for reduced flare-ups and reduced charcoal consumption. 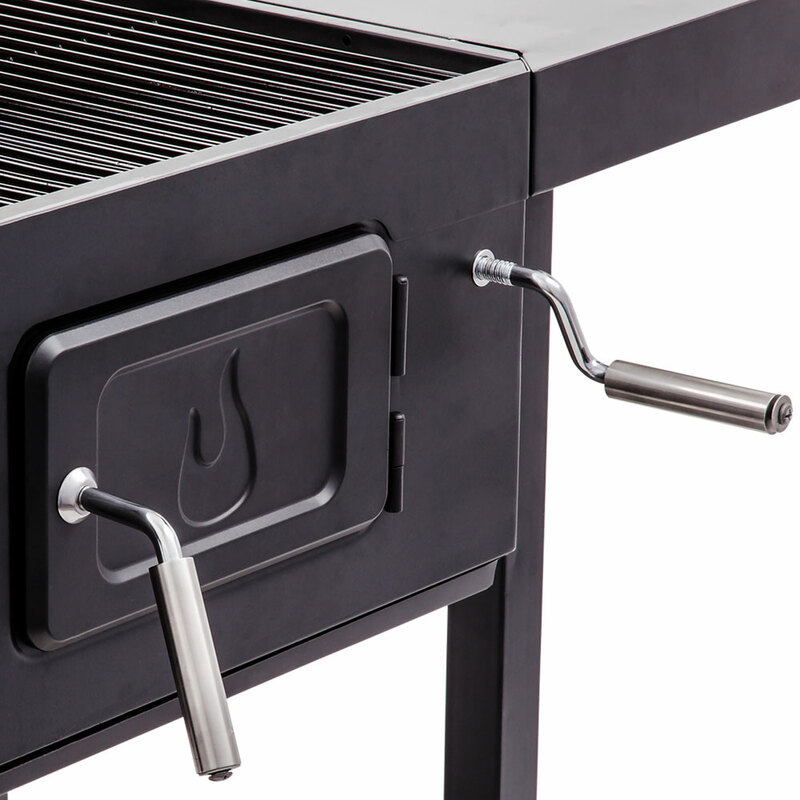 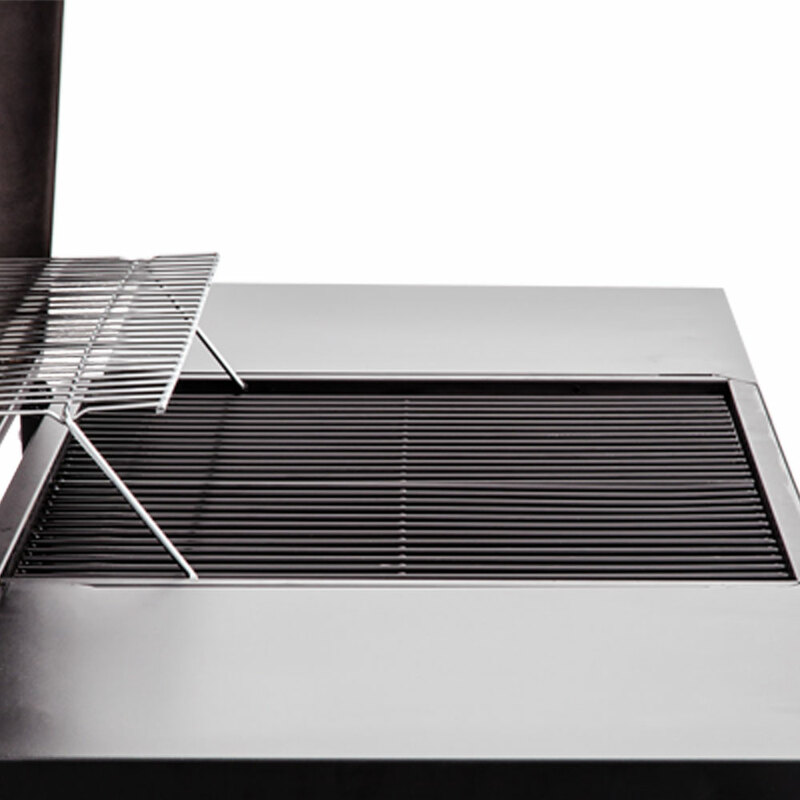 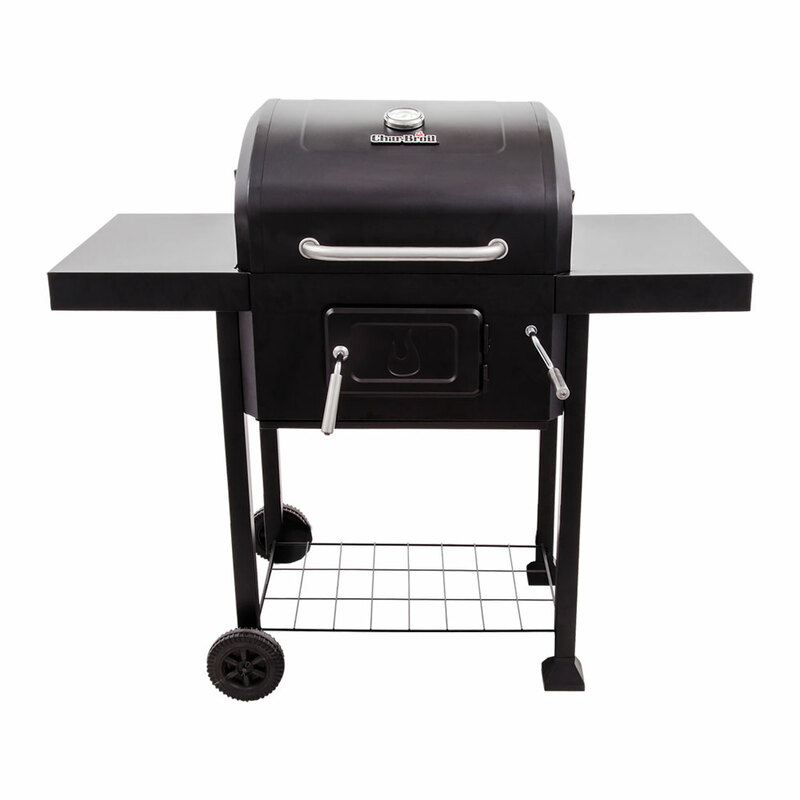 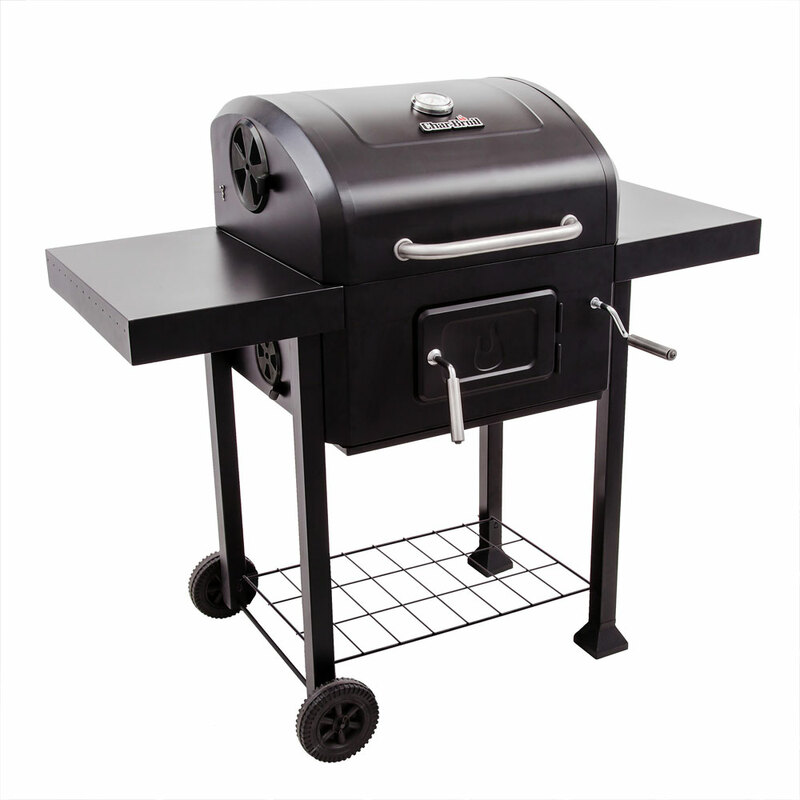 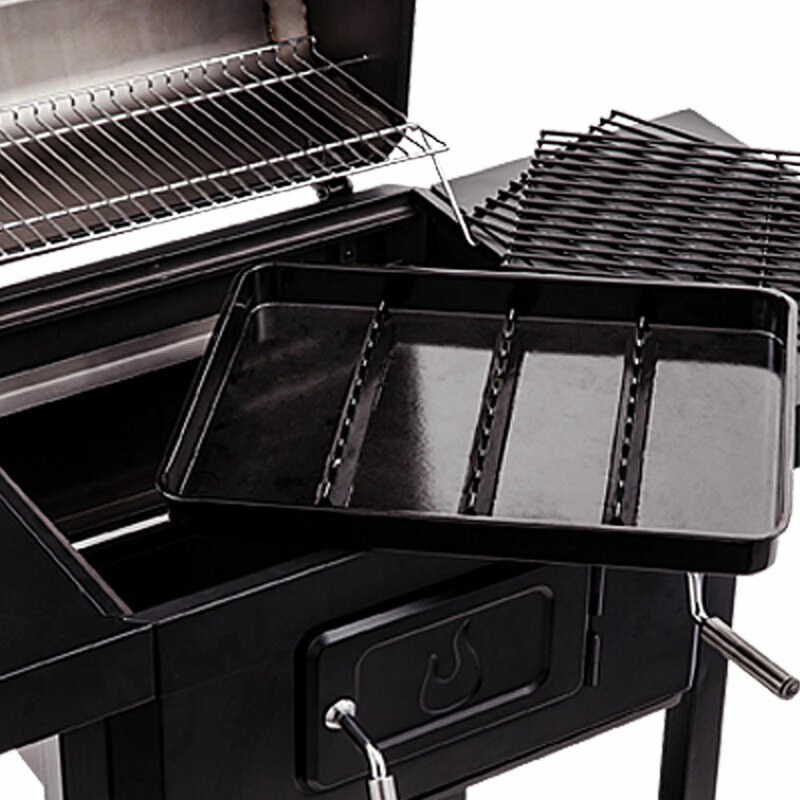 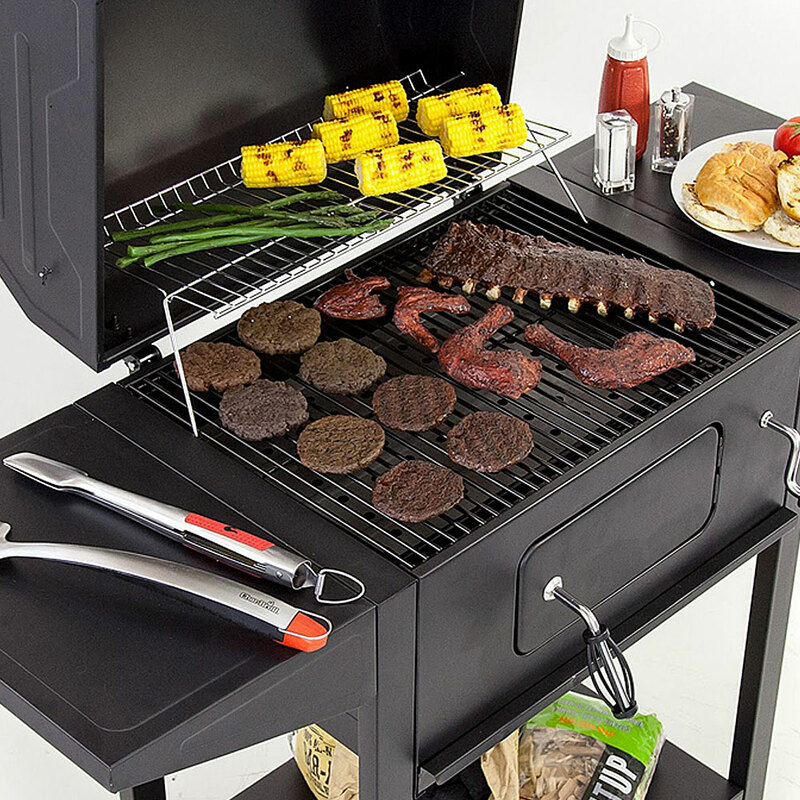 Fire pan with external crank, for individual settings, height settings for ideal grilling control.